One afternoon, in a moment of pause from the activities of a summer camp, a child proposed me to play a game, telling each other a secret. “Once,” he whispered to my ear, “I made a map”. At that point I kept silent for a few seconds, as if I was waiting to hear the rest of the story, and as it often happens to me while talking to children I ended up repeating his last syllables in the form of a question. The child, then, explained to me that it was a complete and very accurate map of his house, and that no one else knew of its existence: more than the words he used, however, it was the tone of the voice communicating an emotion that I recognized in him perhaps for the first time, and I could call distinctive of the rare moments in which a person reveals himself, as if by magic, through something that he considers really important. How to justify the sense of disorientation I felt in that situation? I did not have in mind any secret to tell the child, but above all I understood that my concept of secret was something incompatible with the beautiful image given to me as a gift by my little partner, since it defined in the first place not something really important and revealing of the self, but something shameful that it’s better to keep hidden. 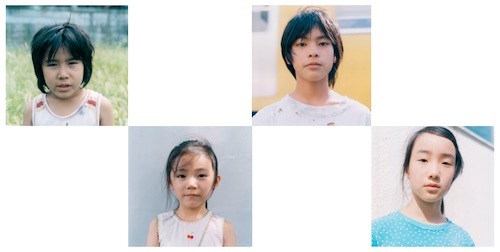 I don’t think it was by chance that the memory of that moment triggered immediately after the vision of Nobody Knows by Hirokazu Koreeda, because it is a movie that masterfully solves the problem of how to stage a story of childhood and secrecy. In 2004, when the movie was presented at Cannes, Japan had perhaps succeed removing from the surface of its collective memory a sad news story dating back to 1988, when four children were abandoned by their mother and forced to survive for months in an apartment in Tokyo, hidden from the world and ignored by their neighbours. Taking inspiration from such a terrible story, Koreeda did not want to provide a truthful representation of it, but a particular reimagining: moving the facts in the present allowed him to show them in a different light, like something that goes beyond the simple news event and becomes expression – in the fragments of a secluded, silent and invisible childhood – of a truly radical urgency. For the viewer addicted to the language of TV news it is an unsettling choice, based on the adherence to an internal point of view that coincides with the gaze of children, and in particular of the older brother, the twelve-year-old Akira (portrayed with a superlative performance by Yūya Yagira, awarded at Cannes as the best actor). Moreover, if it’s true that “nobody knows”, the choice to dismiss the outlook of those outside, as well as being a coherent directorial option, meets the need to observe the tragedy with new eyes, seeking in its secret not so much what is the source of pain and shame, but rather the germs of a tangible treasure that resides in the small things. The way children learn to live in the house and then in the neighbourhood, their dreams for the future despite all daily disappointments, the search for friends to play with, the thousand signs that through the movie contribute discreetly to outline their own singular and communitarian identity… In this sense, when the director spoke of a desire to “document” that pushed him to continue filming for almost a year, it is not surprising that he was referring to a type of loyalty that he himself learned to chase, in his first work as a director, just closely with a class of elementary school children (Lessons from a Calf, 1991). Thinking of a technique, as well as the result of a directorial sensitivity that has matured over the years, would be however reductive: both of them, in fact, imply a much more difficult quality to internalize, namely the willingness to give voice to childhood by remaining silent to better listen to what it has to say, without forcing its expression and actually assuming even a single word, or the same silence, as something meaningful. In this way, we discover that Akira avoids turning to social services for he doesn’t want to separate from Kyōko, Shigeru and Yuki, and therefore the almost ritual regard with which he celebrates birthdays and feast days, going so far as taking the place of the mother or Santa Claus, is a sincere tribute to the idea of ​​a family and a childhood impervious to the indifference of the world, whose strength lies exactly within the things no one knows.